This piece utilized a combination of mold techniques, both slip-cast and press-molded. 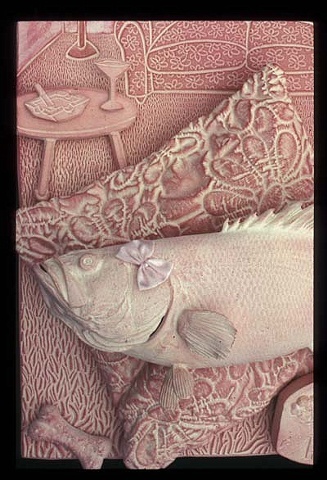 The background was carved in foam core, and the clay was pressed into the foam for a raised relief. The finish was created with silk dye; the darker areas are actually the highest points, almost like a photo-negative.